Australian researchers and psychiatrists have said that video games which encourage players to purchase so-called “loot boxes”, saying that such special items were very much like addictive poker machines. Experts also warned that video games offering such items could be quite addictive and could lead to massive losses. 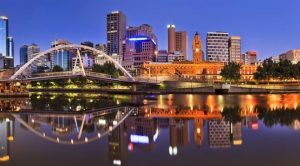 Today, a Senate inquiry initiated by the Greens Party senator Jordon Steele-John is set to start in Melbourne after being unanimously passed in June. The inquiry has already resulted in written submissions from both proponents and opponents of this form of gambling, as well as from members of the public. As a matter of fact, video games offering loot boxes have been raising a lot of controversy across the sector, with both gamers and critics finding some similarities to gambling. On the other hand, experts have warned about the possible detrimental impact that such gambling could inflict on younger and more vulnerable people. 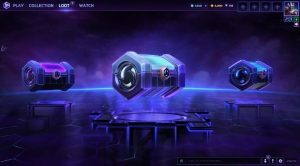 Recently, a number of countries around the world have called for or already started taking some actions in order to limit the possible negative consequences which loot boxes could have for players’ health and well-being. The inquiry starting today is the first major step the Australian Government has taken on the subject. As mentioned above, a number of countries around the world have already started to consider some stricter measures for such games, in order to put loot boxes under legal definitions of gambling. As The Guardian reported,the states of Victoria and New South Wales (NSW) have submitted that most loot box systems cannot be described as a form of gambling for the time being, despite the fact that a number of submissions noted that items could be valuable to players. Most responses focused on the psychologically addictive elements of loot boxes, with many submissions describing them as “simulated gambling”. According to the Royal Australia & New Zealand College of Psychiatrists, a model of chance-based items highlights the similarity to many gambling options. Apart from the obvious resemblance to some forms of gambling, many specialists have raised a red flag regarding the ease of access of loot boxes and other similar incentives to under-aged and other vulnerable groups of customers, as well as the relatively small amount of information provided to their parents and legal guardians. An estimated 34% of young people purchased in-game items in the 12 months before June 2017, according to the Office of the eSafety Commissioner. On the other hand, the Association of Heads of Independent Schools of Australia cited a certain research which found that approximately 20% of players who purchased in-game items moved on to online commercial gambling, and 5% of young Australian people would develop some problems associated with gambling before they turn 25 years. The inquiry set to start today is aimed at providing more clarity on the matter in order to help the Australian Government make a decision how to act on loot boxes and problems associated with them.